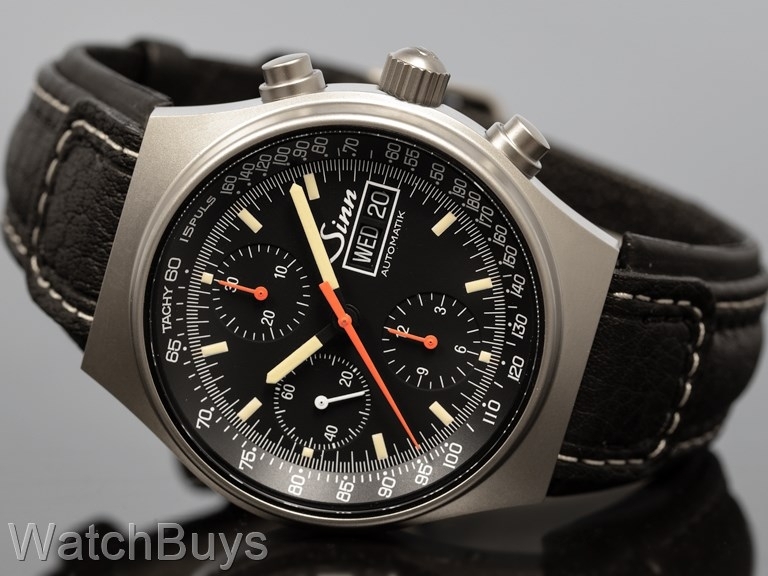 The Sinn 144 St Sa Series is one of the earliest designs from the brand, and even today remains highly popular. This three register chronograph features both a day and date display, and we love the contrast between the red hands and matte black dial. Another point that Sinn got right on this watch is the case finish. Made from 316L stainless steel, the finish is highly bead blasted with no shiny surfaces. The watch uses a screw down crown and is rated at 200 meters for water resistance. Functions include hours, minutes, subsidiary seconds, day, date, pulsometer and tachymeter scales, and complete chronograph functions.